All of us at Children’s Scholarship Fund (CSF) were deeply saddened to hear that Joseph E. Robert Jr. passed away this Wednesday, December 7th. Joe was a dear friend to CSF. Serving on our board of advisors since the early days, Joe’s leadership of the Washington Scholarship Fund provided us with a strong partner in the nation’s capital for many years. Joe’s fighting spirit never wavered when it came to the education of needy children. 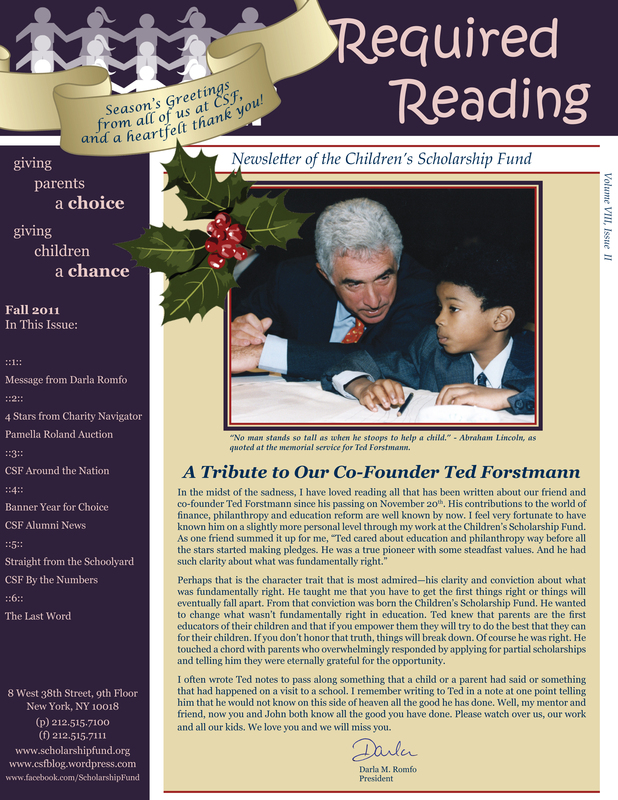 He passionately believed in parental choice and was a key force in ensuring the continuation of the DC Opportunity Scholarship Program, which this year is helping more than 1,600 children attend DC private schools. His staunch support of children’s causes, most especially through Fight for Children, the organization he founded, has made a difference in the education and futures of thousands of DC children and their families. We offer our sincere condolences to Joe’s sons, Joe and Luke, to the rest of the Robert family, and to Joe’s many friends and colleagues in education circles and beyond. He was an inspiration to me personally, and the positive effect he has had on us all will continue to be felt for years to come.